Another update for Landlords covering a range of topics relating to the legal and safety requirements for property standards and requirements. Energy Performance Certificates are used to indicate the energy efficiency of a building, ranging from Band A (very efficient) and Band G (inefficient). They work as an indication on how much a building will cost to heat and light, and what its carbon emissions will be. Part Three of the Energy Efficiency (Private Rented Property) (England and Wales) Regulations 2015 outlines that private sector landlords must not grant a new tenancy (including an extension or renewal) after 1st April 2018, and must not continue to let a property on an existing tenancy after 1st April 2020 where the Energy Performance Certificate (EPC) rating is below the minimum level of energy efficiency for private rental properties of Band E.
Part Two of these Regulations gave tenants the power to request permission from their landlords or agents to make energy efficiency improvements to their rented property. We have some fact sheets which explain these regulations in more details. If you would like to know more, please ask for a copy. The Housing and Planning Act 2016 included an enabling power for the introduction of electrical safety standard requirements in the private rented sector. A Working Group was set up to determine how five yearly electrical safety checks in the private rented sector could be introduced. The Working Group’s findings were passed onto the Ministry of Housing, Communities and Local Government. In July 2018, the UK Government announced that all private rented sector landlords will have to have all electrical installations in their properties inspected and certified safe every five years. An implementation date has not yet been announced. Should these recommendations be implemented, landlords who do not comply could expect a fine of up to £30,000 or a banning order. More information is here. Finally, a piece of legislation that actually benefits landlords is coming into force. As it stands, a gas safety certificate is valid for 12 months from the date it is issued. That means that if you struggle to book an engineer for the day the current certificate expires and have to take an earlier appointment, you have essentially ‘lost’ time that you’ve already paid for. And, because good engineers tend to be booked up well in advance, you may end up having to have the check several weeks before the renewal date. But, as of 6th April 2018, the Gas Safety (Installation and Use) (Amendment) Regulations 2018 come into force. The new ‘MOT-style’ approach means landlords can have the annual check any time in the 2 months before the expiry of the current certificate and still retain the original expiry date. For example, if your gas safety certificate expires on 23rd July 2018, you could have the annual check on 27th May 2018 and the renewal date would still be 23rd July 2019. It makes your administration easier, as the expiry date will be the same each year. We must be careful not to get the timings wrong, because if the inspection is carried out less than 10 months on from the last check, it will ‘reset the clock’ and the new 12-month period will begin from that date. The other thing you need to know is that you must now keep hold of the record of the last two gas safety checks. Even though it is the gas engineer’s duty to date the certificate, it remains your legal duty, as the landlord, to be able to demonstrate that the checks were made within the required timescales. The Homes (Fitness for Human Habitation) Act 2018 comes into force on 20th March 2019. Replacing the existing fitness for human habitation clauses in the Landlord and Tenant Act 1985, this new legislation will apply to all human habitation tenancies lasting up to seven years. Essentially, it exists to protect tenants and ensure their property is fit for purpose and allows tenants to take legal action should this not be the case. Read a summary here. Important news for landlords which may have a huge affect the lettings industry. At Accord we are proud to have never charged excessive fees to landlords or tenants. Our current tenant application/referencing fee is just £120 inc VAT per tenant or guarantor, that is just £100 plus VAT. Fortunately this means that not being able to make this charge to tenants will not be catastrophic. Other agencies, particularly larger agents will have a fee structure which costs tenants between £500 and £1000 per tenancy. Time will tell us the result of this legislation but it will very likely mean a rise in fees charged to landlords. Here is a run down of what the proposed legislation involves. This is reported from directly ARLA Propertymark’s latest news on the issue. Holding deposits will be capped at no more than one week’s rent. The Bill also sets out the proposed requirements on landlords and agents to return a holding deposit to a tenant. The amount that can be charged for a change to tenancy will be capped at £50 unless the landlord demonstrates that greater costs were incurred. A fine of £5,000 for an initial breach of the ban with a criminal offence where a person has been fined or convicted of the same offence within the last five years. Financial penalties of up to £30,000 can be issues as an alternative to prosecution. 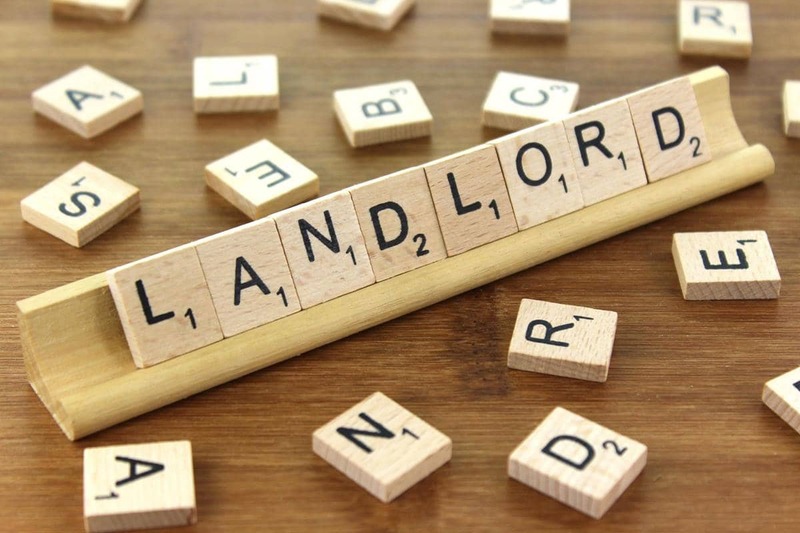 Trading Standards will enforce the ban and make provisions for tenants to be able to recover unlawfully charged fees via the First-tier Tribunal. Landlords are prevented from recovering possession of their property via Section 21 until they have repaid any unlawfully charged fees. The Consumer Rights Act 2015 will be amended to specify that letting agency transparency requirements should apply to any third-party websites such as property portals. A contract (tenancy agreement) must be signed within 15 days of having received a holding deposit. At Accord, we usually get the tenancy agreement signed on check in but this may have to be done sooner, which will mean the full balance of funds will need to be received from the tenant before the agreement can be signed. This 15 day period can be extended with express (written) agreement of the prospective tenant. It will no longer be possible to take a higher deposit if the tenant/s have a pet. A possible answer, other than not to permit pets of course, is to charge a higher rent to tenants with pets. A holding deposit must be returned if references fail, except if the tenant has been deceitful. So it will be important to have a comprehensive tenant application form. If the tenant states on the application form that they have no CCJs but they do, then they have lied and the holding deposit can be retained against costs. In future, will tenants apply for multiple properties because they have no risk of losing their holding deposit. They could go through several referencing processes (which cost £s to the agent) and then make a decision to go ahead with just one and request holding deposits be returned on all the others. Tenants can be charged for a breach of tenancy but these must be listed in the tenancy agreement. For example for late rent, lost keys, missed appointments, unreasonably refused contractor appointments, etc. The cap on tenancy deposits will only affect new tenancies on or after the ban comes into force. However, one year after the introduction, all tenancy deposits must be compliant on renewals. So any tenancies where the deposit is higher than the capped level, will need to have the amount over that level refunded to them. Fees for a change of sharer of £50 are deemed acceptable. If a tenancy is surrendered, reasonable fees may be charged to that tenant but cannot be more than the value of the rent for the remainder of the tenancy. We will keep you informed of what all of this means in relation to the properties we manage on your behalf. Welcome to this fact filled post, specifically for landlords. Residential lettings are going through a myriad of changes brought about by new legislation making the process of renting out property more complicated than it has ever been. The legislation is designed to improve standards which must be welcomed as a positive thing. Earning an income from buy to let involves more than simply sitting back and watching the rent roll in. Changes in private rented sector regulation, tenancy disputes, maintenance issues, tax calculations and more combine to make being a landlord more challenging than it can sometimes look from the outside. A full and professional approach is needed to ensure that properties and tenancies are compliant with legislation. Without the correct tenancy documentation in place, it is unlikely to successfully get through a court eviction process if a tenancy turns bad. Without a fully compliant property, landlords and agents can be issued with a banning order preventing them from operating in the future. Local councils, including London Borough of Havering, are making their licensing conditions tougher. One of the first borough to introduce landlord licensing was Newham where the council were dealing with a high proportion of poor quality rental properties. Poor conditions and overcrowding were commonplace. Barking and Dagenham followed suit not long after Newham and now Havering are doing the same in some locations as a test before rolling out the regulations borough wide. Here is a recent press release from Havering Council. Prior to 1st October 2018 any property used as an HMO (House of Multiple Occupation) that was over three stories required a Mandatory HMO licence as set out in the Housing Act 2004. From 1st October this year, that three-storey criteria has been removed. Now all HMOs housing five or more occupants, from at least two unrelated households require a Mandatory Licence, irrespective of the number of floors. Havering Council have also introduced an Additional Licensing requirement in certain areas. Have a look at the map on this link. They have also changed the HMO definition to include three or more unrelated people. This has a massive impact on many private rented properties in today’s market where many tenants share homes. At Accord we manage some properties which are shared by two couples. This is a very affordable, and acceptable, way for people to live. When the couples are not legally married, they are considered as unrelated for the purpose of the licence requirements, even if they have been together for many years and have children. I cannot help but think that these people will end up being disadvantaged by these new rules. The new rules will also give landlord and agents the extra responsibility to obtain proof from applicants to confirm their marital status or relationships to family. The licensing process is complicated and costly. An Additional Licence costs £865 (or £900 if landlord/agent is not accredited). This licence is valid for five years and requires you to meet the Private Rented property Licensing Accommodation Standards, which can be seen below. An HMO Licence costs between £1115 and £1788 depending on the property size. Property standards are very important. On a personal basis, I would not want to find tenants for a property that I would not be prepared to live in myself. However, I cannot help but think it would be better if the council were able to concentrate on cases where there is a problem, rather than inflict the licensing fees on landlords who, as a matter of course, take pride and care to offer decent homes to decent people. Licensing means councils spend their time administering schemes, rather than enforcing against rogue, criminal landlords. According to ARLA, Propertymark, this is a fact that has been proven time and time again over the last decade. 0% for 2020 to 2021 and beyond. This may have a significant effect on the profitability of investment property. If landlords decide to pull out of the investment property market, then supply of rental property could be affected. Surely the UK cannot afford to have more homeless people? There is a lot happening and it is all very significant, changing the way we need to work and our ability to make a profit in the world of residential property investment. Traditionally the market slows down in Autumn as people’s focus turns to Christmas. We still list properties for sale in November and December, but we find that most people put moving plans on hold until the New Year. As Christmas gets closer, we often have a job on our hands pushing through agreed sales so that people can get settled into their new home in time for Christmas. We are finding that the local property market is still resilient in terms of house prices. The data from the various house price indices shows that, whilst the Central London property market is faltering, Havering property prices are still increasing, although at a far lower rate than in previous years. 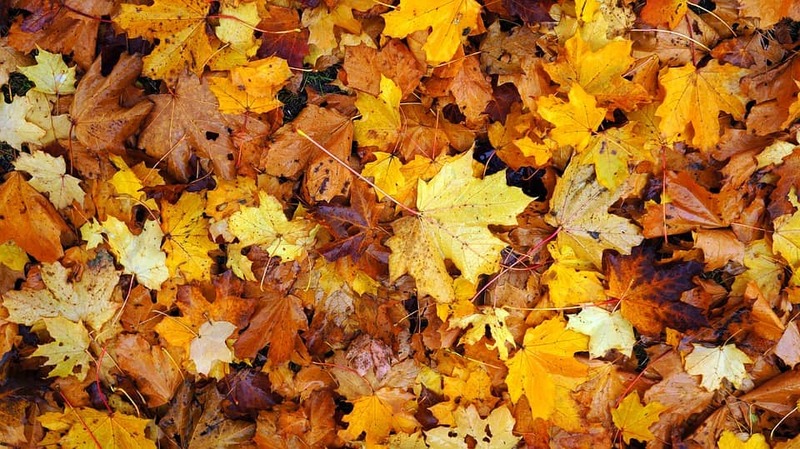 Autumn is a good time for buyers to find a property for sale with a motivated seller. We tend to find that the houses on the market at this time of year have a seller who are committed to selling. For more information call us on 01708 748956 and one of our friendly members of staff will be happy to help.